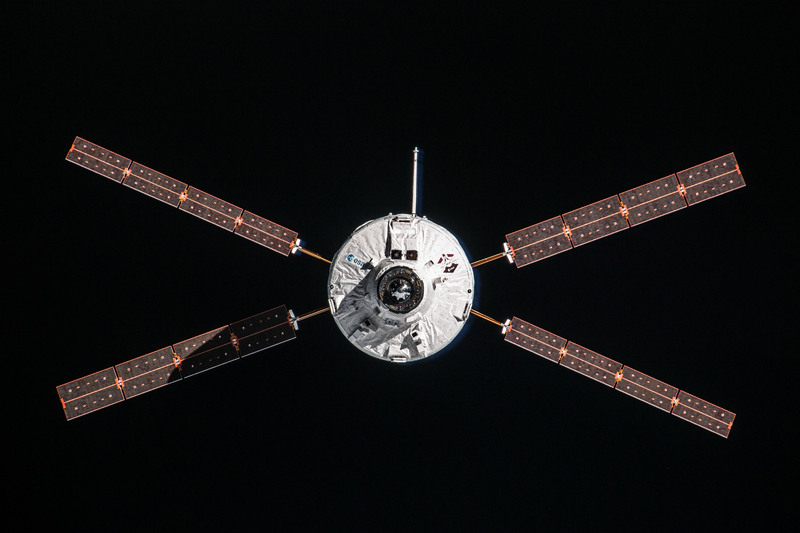 ATV-3 departed from the ISS at 23:44 CEST on 28 September 2012 in a flawless undocking under the control of the ATV Control Centre, Toulouse, and in tight cooperation with ISS control centres in Moscow and Houston. 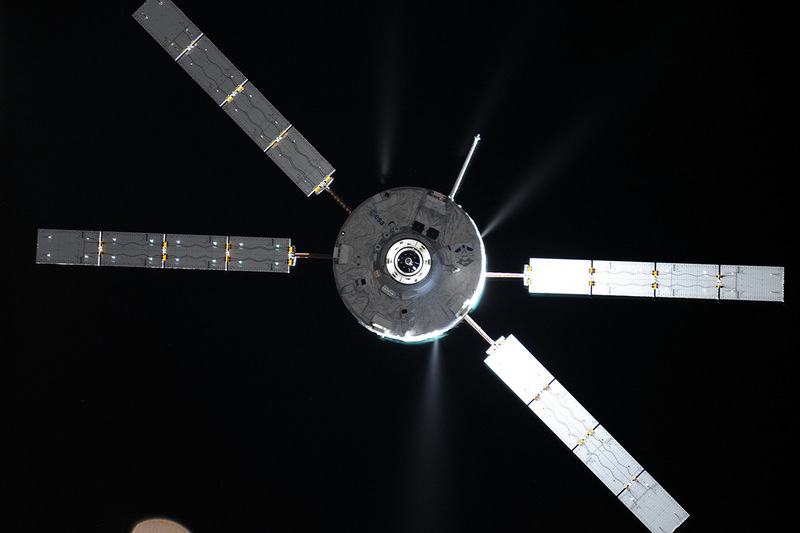 The image below shows ATV Edoardo Amaldi undocking from the ISS. This scene shows the vessel just moments after it started its departure thruster burn, just a few metres from the Station. I read that ATV-3 leaves ISS with over 1,400 Kg of unused fuel, I don’t know how much will be used for de-orbiting, but I guess that this is pure loss of money. How much was the launch cost of this fuel that will be purely vaporized during reentry breakout? Any justification of such mess? Sorry for the math : I read that ATV-3 used only 1,450 Kg for ISS propulsive support from the 3,150 Kg of initial payload, so there is 1,700 Kg of wasted fuel. Hi Philippe: There were roughly 1420.8 Kg of fuel on board just prior to undocking. 1277 Kg are needed for all post undocking flight, plus some must always be kept in reserve for unanticipated manoeuvres, e.g. debris avoidance burns. 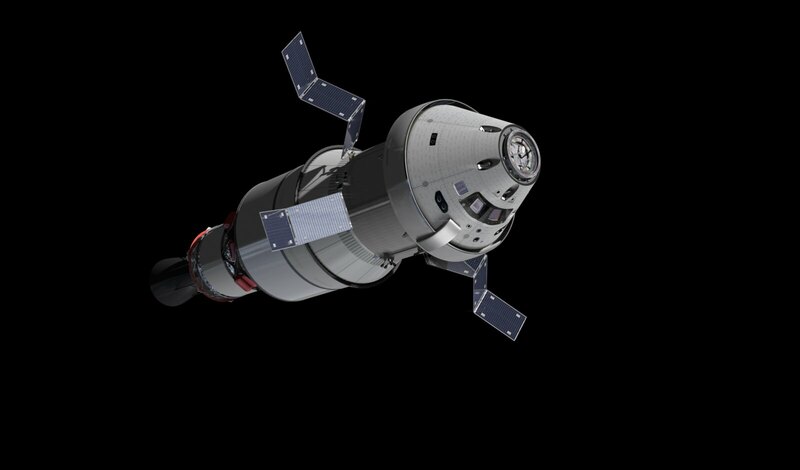 So, virtually all fuel will indeed be used for ATV mission purposes. Firstly, it was not obvious to me that the 3,150 kg of fluid cargo labeled as “ISS propulsive support” was usable for ATV’s own usage. 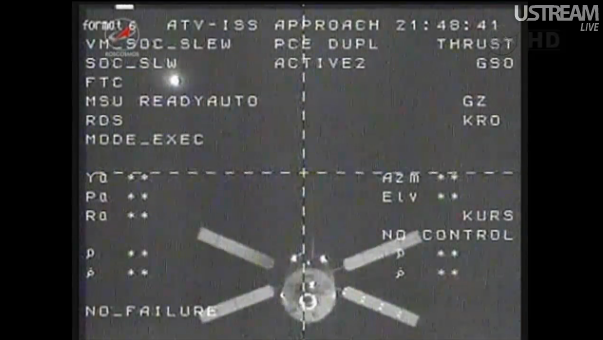 Then, 1420-1277 = 143 Kg; as a debris avoidance maneuver with ATV engines was an eventuality before undocking, I feel that it would not give too much margin (I didn’t find the fuel cost of a debris avoidance maneuver of the whole ISS+ATV). May I have a link to your source for the post undocking fuel costs? Hi Philippe: Source for the post-undocking fuel usage is ESA ATV-3 Mission operations report issued every 24 hours by ATV-CC. It’s not publicly available. While there’s no doubt ATV could not have performed many more DAMs, there was in fact enough fuel for. e.g., the DAM that was foreseen on 27 Sep (which was cancelled before execution).